Starting pitchers rarely sign autographs on days that they're scheduled to pitch. Knowing this, I never ask them. I just wait until after the game. On this day, a collector next to me called Tyler over and he said he'd be right there. Sure enough, Tyler came over and signed autographs for all of us. At the time, he had yet to record a professional victory, so after he signed my card I told him to get that first win. He smiled and said "alright." He did just that. He threw 6 shutout innings, earning his first win as a professional. 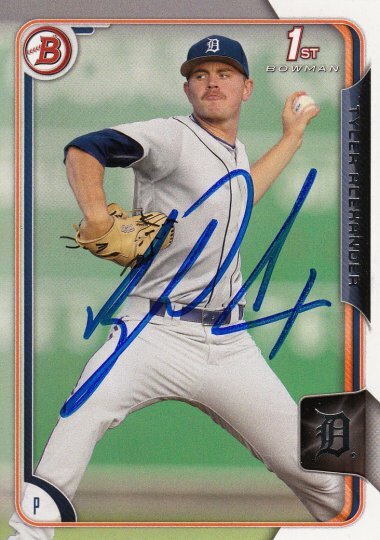 Tyler signed a 2015 Bowman Draft card #7.